Drop Box – friend or foe? The growth of file sharing solutions such as Drop Box has been quite incredible. The driver for this has been the need to share and store larger amounts of information with multiple people without the constraints that come with email or internal systems. Our understanding however of what we are really doing is less clear. File sharing solutions are by their very nature simple and easy to use. However, whilst this is their biggest selling point, it’s also their biggest flaw. Anything easy quickly becomes taken for granted. This leads to a blasé attitude to how we use this type of technology. We tend to forget what we are doing and how important, sensitive or otherwise, the information we are sharing is. We all know not to share our passwords, favourite words, dates of birth for obvious reasons, but we become less fussy when the information being shared could be contained in a document, especially a business document – you know, the ones you didn’t create or, ‘it’s just general information’! 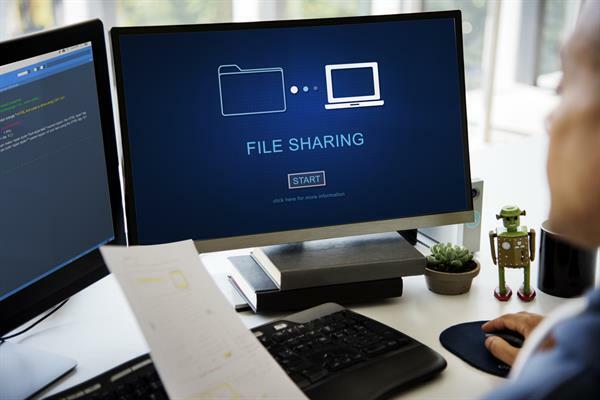 File sharing solutions do provide levels of security and they work really hard on this, but they still need you to do your bit. The storage ability of these solutions is probably of greatest concern. Whilst you believe you are in charge, it’s not your game, so choose where and how you store your documents carefully. After all, they are yours and you should have some knowledge of how and where they are kept. Keep some control. Remember, more business information, sensitive or otherwise, is contained within documents than in any CRM, ERP or other business systems. Stewart Wright is Founder and Director of YourDMS Ltd, and has over 20 years in the Document Management industry offering extensive senior management experience, delivering high quality products and services. Working with companies such as Invu, Abbyy, YourBPO, Microsoft, Draycir, and Fujitsu to deliver business critical software and solutions to organisations from 3 to 3000 users, YourDMS provides tailored, efficient document management solutions to companies seeking to reduce costs by improving their data capture, workflows, print reduction and email management.